Nepal is considered to be a paradise for mountaineers. My recent, and first visit to this magical country, confirmed this belief. With so many trekking sites, some easy and short, while some extreme and long, Nepal is undoubtedly a must-visit place for every mountaineer. While its beauty should be more than enough to enforce you to visit this country, I’ll provide you with 8 reasons that will make Nepal your next mountaineering destination. 1. Multiple trekking options: Eight from ten of the world’s highest mountain in the world belong to Nepal. These summits have varied trekking sites, allowing mountaineers of all capabilities and ages to trek them. You can plan for an expedition in these mountains in advance, or you can simply come to Nepal and choose a mountain of your choice in a couple of days. 2. Safety: There are many trekking companies in Nepal which provide you with peak climbing and trekking trips to these mountains. 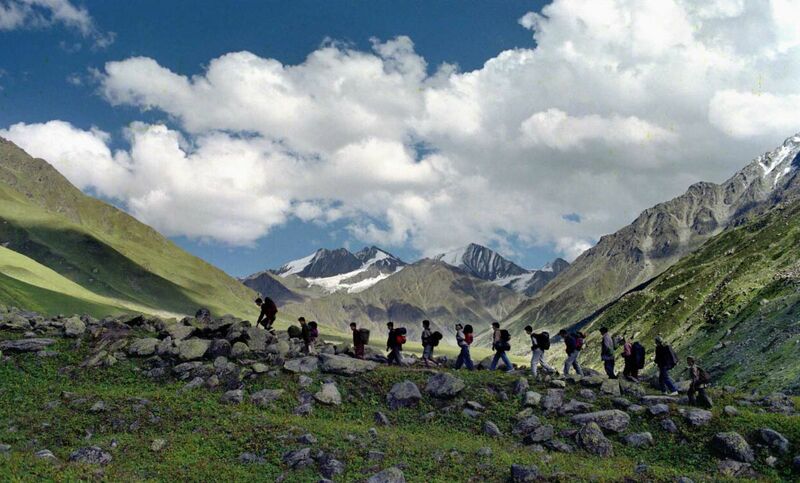 These companies have licensed trek leaders and experts to help you throughout the trekking. There is also an option of hiring Sherpa’s, who are people with immense knowledge about the mountains and are well-versed with the trekking routes. 3. Well-marked paths: The trekking paths on most of the mountains are clearly marked for ease of trekking. These markings make trekking easier and minimize the chances of getting lost. 4. Teahouses and villages along the route: I witnessed many villages and teahouses at regular intervals on these trekking paths. These places allow mountaineers to rest for a few minutes and even overnight, so that they can continue their journey on the next day. 5. Friendliness: Be it the Sherpa’s, or the people in these villages along the path, they are well-known for their cultural knowledge and their friendliness. From my personal point of view, the hospitality and friendliness I witnessed in Nepal was second to none. With a warm smile and Namaste, people in Nepal are always happy to welcome you. 6. Easy permits: Getting permits to trek these mountains is very easy if you have the correct documents. You will need two or more permits for trekking any mountain. There are also many police checkpoints at these trekking paths and officers can ask you for permits anytime. 7. Low cost: Visiting Nepal is generally considered to be much cheaper as compared to other trekking destinations around the world. Moreover, getting a Nepalese visa is also very easy as you can simply get one, on arrival. 8. Quality accommodation: Nepal has something for everyone when it comes to lodging. From 5-star hotels to cheaper alternatives, you can choose the best service that suits your budget and needs.